Caption - German Railways (DB) class 78 4-6-4T 078 453 at Rottweil depot in September 1971 their final depot in West Germany. 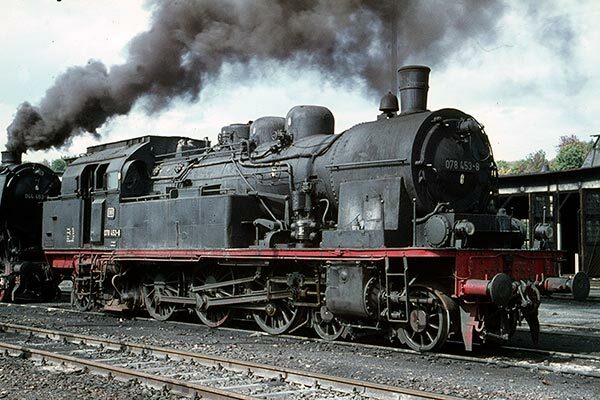 534 of these handsome locos were built between 1912 and 1927 to the Prussian Railways T18 design. At the end of the Second World War the class was split between West and East German Railways. The class lasted until the mid-1970's in Germany. Further examples could also be found in Poland and Turkey.